This topic describes the OAuth 2.0 implicit grant type supported by Pivotal Single Sign-On (SSO). The implicit grant type is for applications with a client secret that is not guaranteed to be confidential. Issue Access Token: The authorization server validates the authorization code and returns an access token with the redirect URL. 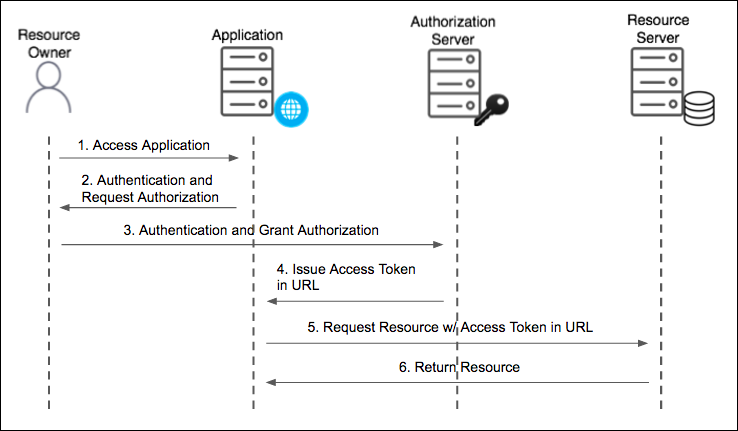 Request Resource w/ Access Token in: The application attempts to access the resource from the resource server by presenting the access token in the URL.